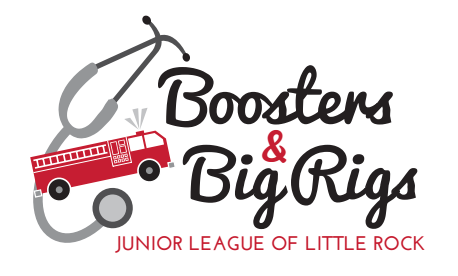 The Junior League of Little Rock, in partnership with UALR Children International, hosts a fun family event called Boosters & Big Rigs. Boosters & Big Rigs is a family-friendly, free community event that provides children with dental, vision and wellness screenings. The event also provides children with an educational and fun opportunity to explore and “touch” community vehicles, such as ambulances, fire trucks, police cars and more. Children will participate in a variety of games and activities, and free lunch will be provided.